When faced with divorce and lack of child support, Megan needed help in many ways: food, job skills, and financial assistance. Because Beaufort County United Way and its community partners had already established a path for others in her situation, Megan was able to take some critical steps toward independence. The Beaufort County United Way coordinates its fundraising efforts in a variety of ways throughout the community. Individuals, small businesses, and medium-large sized employers can all easily participate in investing in our community. Individuals and small businesses can donate by clicking here. A significant portion of campaign funds come from the corporate sector. 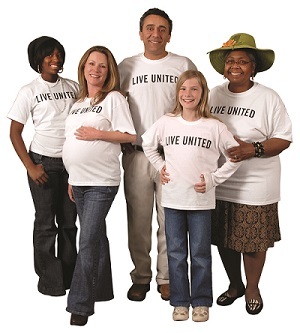 Approximately 40 businesses in our community participate in an annual United Way campaign. By running a United Way workplace campaign, these companies and their employees show their commitment to our community. If you are interested in offering a workplace campaign, please contact us for more information. HOW DO YOUR CONTRIBUTIONS HELP YOUR COMMUNITY?